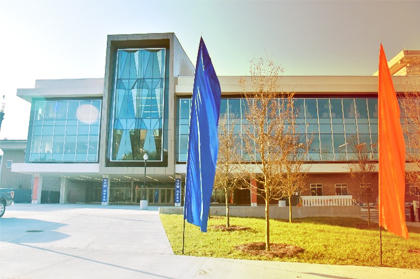 Multicultural & Diversity Affairs is located on the second level on the J. Wayne Reitz Union. Asian Pacific Islander American Affairs (APIA) aims to promote a more critical understanding of APIA issues and identity while advocating for the needs of APIA community. By focusing on leadership development, providing educational dialogue focused on the complex heritage of Asian Pacific Islander Americans, and being a voice for the APIA community at UF, APIA Affairs will empower its community members to take a more active role in shaping their experiences at the University of Florida and beyond. Black Affairs is a department within the University of Florida’s Multicultural and Diversity Affairs Division that offers students, faculty, and staff who are interested in establishing a sense of community two spaces (the Institute of Black Culture and the Black Enrichment Center) to do so while being exposed to an array of programs, resources, and services that UF has to offer. The Institute of Black Culture is closed for spring 2017. You can visit Black Affairs in the Black Enrichment Center within Multicultural and Diversity Affairs on the second level of the J. Wayne Reitz Union. Our Black Affairs directors and ambassadors are responsible for planning and executing exciting social, cultural, and/or educational programs. On any given day students are participating in a “house talk” around the latest trending topic, attending programs, studying and working, or even watching TV between classes. Hispanic-Latino Affairs advocates on behalf of Hispanic Latina/o populations and offers support to the University of Florida and the Gainesville community through various programs, resources, and networking opportunities in order to help facilitate cultural awareness, social justice, and empowerment. “La Casita” was established in 1994 and is the first institute of its kind in the south eastern United States, focusing on the empowerment of the Hispanic Latina/o community through Advocacy, Education, and Outreach. The Institute of Hispanic-Latino Cultures “La Casita” is closed for spring 2017. You can visit Hispanic-Latino Affairs in the Hispanic-Latino Engagement Center “La Salita” within Multicultural and Diversity Affairs on the second level of the J. Wayne Reitz Union. The Institute of Hispanic/Latino Cultures advocates on behalf of Hispanic Latina/o populations and offers support to the University of Florida and the Gainesville community through various programs, resources, and networking opportunities in order to help facilitate cultural awareness, social justice, and empowerment. “La Casita” was established in 1994 and is the first institute of its kind in the south eastern United States, focusing on the empowerment of the Hispanic Latina/o community through Advocacy, Education, and Outreach. LGBTQ Affairs strives to educate, advocate, and support LGBTQA people and issues at the University of Florida and in the Gainesville community. Through student-centered programming, outreach, community building and advocacy, we are committed to creating a safe and developmentally supportive and affirming campus-community for students, staff, faculty, and alumni of all sexual orientations, gender identities and expressions.